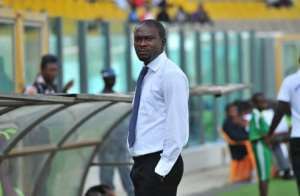 Asante Kotoko coach, CK Akonnor has revealed that his side struggled against Medeama SC. The Reds suffered their first loss in the Special Competition at the Tarkwa T&A Park on Thursday evening. Seth Kwame Boateng coolly converted the first-half penalty was enough for the Mauve and Yellows on a rain-soaked pitch in Tarkwa. Speaking to the media after the game, the former Ghanaian international admitted his side is struggled to match Medeama. “We also played without a striker and it’s a problem with the players suspended due to the fact that there is a little misunderstanding with the way we handle things." Kotoko will face Techiman Eleven Wonders at the Nkoranza park in their matchday three fixture.